I am often asked, “when or what was the turning point for your business?” In 20 years, there have been many watershed moments, but there is definitely one that stands out. 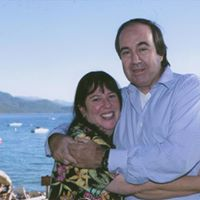 In early 2000, I had lunch one day with my former colleague, Joyce McKee, whom I knew from work we’d done together for my previous employer, EDS. After we had enjoyed an hour’s worth of chatting and catching up, Joyce wrote the name “Elyse Gut” on a piece of paper and handed it over to me, explaining that Elyse was responsible for a large human resource conference and hired lots of speakers. 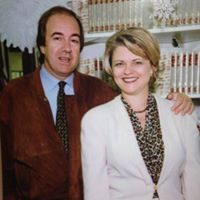 After researching the conference to learn more, I called Elyse and left her a voicemail about Nando Parrado (see GDA Speakers-Celebrating 20 years to learn more about the beginnings of GDA’s long-standing partnership with Nando). Elyse returned my call and we had a nice conversation; she was very pleasant and obviously thought the world of Joyce. Elyse very diplomatically explained that Nando didn’t have enough name recognition to draw a big crowd, but that she would like to meet him if ever he came to town. I promised to follow up and we ended our conversation. Fast forward to a few months later when Nando came to Dallas. Elyse kept her word and agreed to meet with us. As we settled in to the conference room in her office, she called in several of her colleagues for what she assured them would be a quick meeting. After everyone assembled, Nando began to share his story. Time stopped and everyone was captivated. By the end of the meeting, and without even taking a break, the team agreed to invite Nando to be one of the group’s three keynote speakers that fall. This proved to be our first really big break. At the fall event, Nando ended up sharing the stage with no less than Sam Donaldson and Dave Barry in front of 1,800 people. During his presentation, the audience members grew so quiet that you could hear a pin drop. Afterwards, the line to buy Piers Paul Read’s book Alive stretched out forever it seemed, and in fact, they ended up selling out. Elyse was thrilled, which of course made me thrilled. But the excitement was only beginning to build. The next day, a member of the audience who happened to be a representative for the Society of Human Resource Management called to book Nando for the organization’s June, 2001 conference, where Nando would share the stage with Doris Kearns Goodwin and Gary Hamel in front of an audience of 12,000. No doubt about it, we were officially on our way.